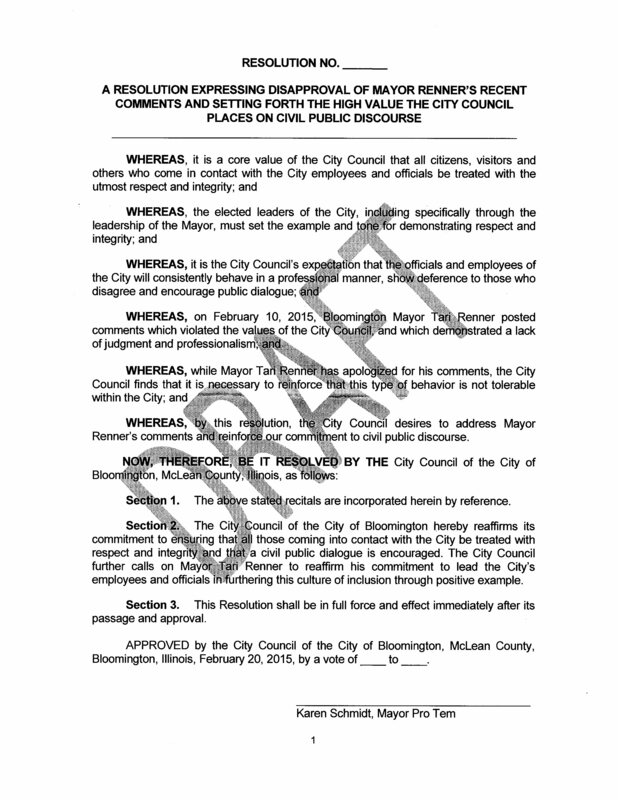 Posted in BloNo, Bloomington, Local, Renner.Tagged BLOOMINGTON CITY COUNCIL, censure. I would like to use a term coined by the best city council member who has sat at that table in the 6 plus decades I have been alive Judy Stearns and that term is “window dressing.” This dog and pony show is just that, show. I submitted a letter the day after the mayor went off like an insolent child to be printed in the Pantagraph. I did not receive an e-mail confirmation that it had been received. So the next day I resubmitted it and got a response from Karen Hansen saying she had “put it through” and I am just waiting to see if and when it appears. In that letter I request an immediate resignation and at a minimum the mayor be ordered to forego an anger management assessment and be required to follow any recommendations. I have noticed from past experience some letters get rejected and somehow I just don’t believe some of the reasons they have come up with for the rejections. Send rejected letters to me. I love exposing their bias.